Omega Heating & Air strives to provide comprehensive HVAC repair and maintenance service with a people-friendly approach. Our team of professionals is committed to providing you with excellent customer service every time; we want to be your heating company. Trust us for all types of heating and cooling services, including air conditioner repair, heating repair, or furnace service on all brands. Our experienced team will ensure that you are 100% satisfied with our workmanship. We are equipped to serve all residential and light commercial projects throughout the Roswell, GA, area, including Stockbridge, Hampton and McDonough. We have a wide selection of parts and equipment to cater to all your HVAC maintenance needs. Most importantly, we offer emergency service, day or night. Omega Heating & Air provides exceptional air conditioning repairs and top-notch customer service. Our professionals are factory-trained and authorized technicians, who approach each project with the utmost attention to detail. Our technicians are courteous, punctual, and honest. Before any repairs begin, we'll discuss our pricing and go over the financing options. We make sure everything is done correctly the first time around, and in time. We proudly assist property owners throughout the East Atlanta area and offer a 100% guarantee on our work. Our experts understand the importance of accurate air conditioning service, and offer reliable maintenance and repair work on every job. We understand that you rely on your air conditioner during the warm weather months, so we take a thorough, methodical approach to air conditioning service. We ensure complete satisfaction of our clients with our industry experience, reasonable rates and flexible appointments. If you’re having trouble with your air conditioning system, call us. Our professional technicians will fix it quickly. We specialize in residential and commercial air conditioning installation service. Our trained service technicians will help you find the best air conditioning system for your budget. We pride ourselves for providing quality service and complete customer satisfaction. No job is too big or small, and we aim to deliver complete customer satisfaction on every project we undertake. Whether you need air conditioning installation for a small home or an entire office building, our highly trained and experienced contractors will provide the speedy, high-quality service you can depend on. If you're in need of air conditioning replacement service, rely on Omega Heating & Air to get the job done. Our trained service technicians will help you find the best air conditioning solutions for your space and budget. We ensure not only affordability, but quality and complete customer satisfaction. Whether you need air conditioning replacement for a single unit or an entire office building, our highly trained and experienced contractors can provide the speedy, high-quality service you deserve. Our company offers prompt, reliable heat pump repair service throughout East Atlanta Metro. As soon as you notice a problem with your heat pump, it's best to give us a call so that we can come evaluate the situation and offer solutions for heat pump repair. 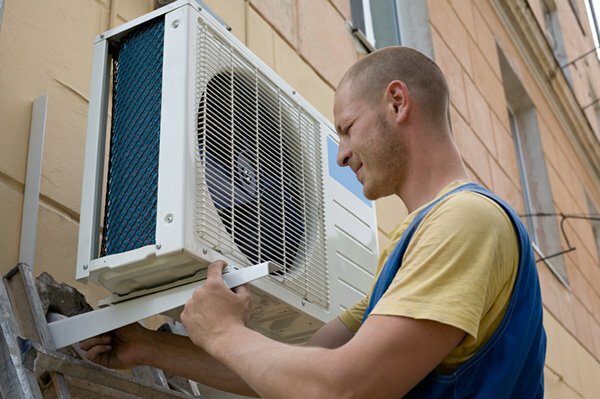 We have a team of experienced contractors offering dependable HVAC service at reasonable rates. To schedule an on-site estimate or get more information about our heat pump repair services, contact us today. Our company provides the highest level of quality in furnace installations and replacements. When you hire us, you can rest assured that all jobs are performed by knowledgeable technicians. We offer a variety of makes and models, and no matter the scope of your project, we pledge to complete our work on time and within budget. On furnace installations, we offer one year workmanship warranty with free labor on any full system purchase. In addition, we provide 6 month workmanship warranty with free labor on any equipment purchase. When your furnace stops functioning properly, trust us to make sure the problem doesn't get worse. 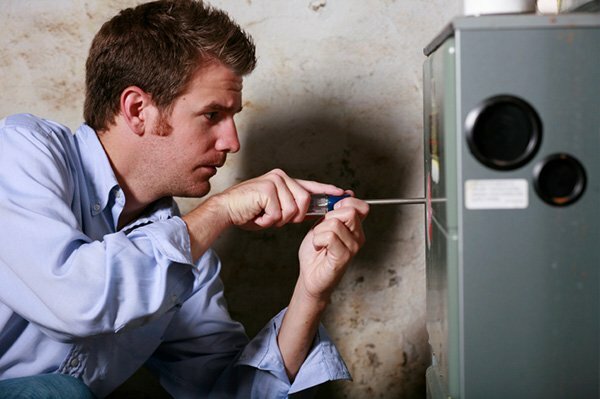 We have the tools and skills to provide you with accurate, cost-effective furnace repair service. When you hire us, you'll benefit from our knowledgeable, courteous HVAC professionals and affordable pricing. And no matter how extensive your furnace repair job happens to be, we pledge to complete it on time so that you can get back to your regular routine. Our company strives to provide the highest level of workmanship in the furnace repair work we do. You depend on your furnace to keep your indoor space comfortable and warm when the weather turns cold. So when your furnace starts to malfunction and reaches the point where it can't be salvaged, trust us to replace it at once. We offer furnace replacement services to home and business owners across East Atlanta Metro. In addition, we offer one year workmanship warranty with free labor on any full system purchase. We also offer 6 month workmanship warranty with free labor on any equipment purchase. The best way to avoid major problems with your furnace is to have it serviced on a regular basis. We offer furnace service and maintenance packages for home and business owners across East Atlanta Metro. Our goal is to catch furnace issues before they develop into full-scale problems, thus saving you time, money, and aggravation. Remember, your furnace wasn't designed to last forever, but you can keep yours running smoothly for longer with proper maintenance and repairs as necessary. We offer quality heating system installation for all of our valued customers in East Atlanta Metro. Whether you own a single family home or a larger building, we're here to design a heating solution that will best serve your needs. All of our heating system installation projects are performed by highly-experienced contractors you can trust. We also aim to keep our prices reasonable and affordable, and we offer a variety of heating systems to suit your needs and budget. We offer one year workmanship warranty with free labor on any full system purchase. In addition, we offer 6 month workmanship warranty with free labor on any equipment purchase. Whenever you require heating equipment repair, rely on us to assist you. Our company provides speedy and effective solutions to many types of problems. Our technicians are factory-trained and -authorized and are capable of fixing all systems no matter their age. Upon arriving, we'll conduct a thorough inspection of your equipment, and we'll strive to accurately pinpoint the cause of any issues. Should we need to replace any parts, we'll use high-quality materials to ensure our results are long-lasting. If you're in need of a new heater, trust us for heating system replacement. With us, you will find affordable heating system replacement for residential and commercial properties. We provide high quality heating system replacement work, and all jobs are performed by experienced contractors you can trust. When you work with us, you'll benefit from our wide selection of heating system models and installation options. In addition, we offer one year workmanship warranty with free labor on any full system purchase. We also offer 6 month workmanship warranty with free labor on any equipment purchase. As your heating system ages, it can lose efficiency or stop working altogether. At Omega Heating & Air, we aim to provide the highest level of quality for every maintenance job we undertake. With us, you can expect accurate, professional maintenance from an HVAC contractor you can trust. We can thoroughly inspect your equipment and let you know of any problems (or potential problems) we find. That way, you can nip your heating system issues in the bud before the cold sets in. We are the go-to destination for all kinds of HVAC services and HVAC products. Rely on us for residential and light commercial projects. Call now to schedule an appointment. We service and install all brands.